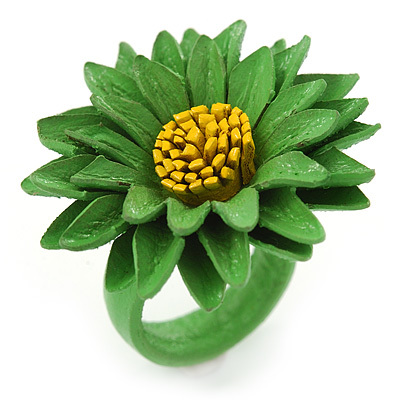 Inspired by nature, this Grass Green/ Yellow Leather Daisy Flower Ring incorporates the beauty of fresh blossoms. Featuring a pretty daisy shape flower design, made of leather and cover with grass green and yellow colour. The head measures about 40mm in diameter. The flexible band is about 8mm in width. Can be adjusted to all sizes.